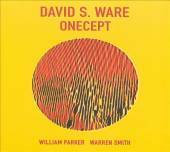 In the press release for Onecept, David S. Ware makes much of the concept of spontaneous form. This is worth mentioning because the degree of continuity between notion and outcome is exceptional. 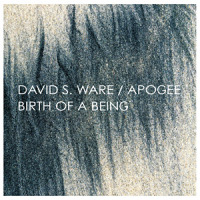 Ware's workand, indeed, his musical life, perhapsis now at a stage where the reedman doesn't have to be combustible all the time, and it shows in this trio's collection of three equal voices. The implied democracy hasn't resulted in a quenching of the fire, but rather a group music based upon such a level of intuitive understanding that it can only be described as extraordinary. Singling out drummer Warren Smith might seem a little unfair but he's an extraordinarily inventive musician. On "Celestial," he's alert to every nuance and passing phrase generated his trio mates while still generating his own action. 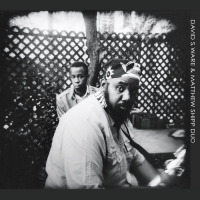 When Ware's flowsomething that has never lacked momentumappears to get a little aimless, Smith and bassist William Parker don't so much fill any resulting gap as they take up the challenge the development offers. As with a lot of the music here, the piece ends out of necessity; such is the depth of the impression that the trio has drained it of ideas. Ware forces the proceedings somewhat on "Desire Worlds," but his ferocity on saxello is not so much diluted as it is offset by the measures of his companions. There's something almost regal about Parker's progress with the bow, while Smith, conscious perhaps of a gulf opening up between Ware and Parker, opts for no move as crass as trying to fill it. Instead, he's the one who elaborates upon the piece's otherwise barely implied momentum. 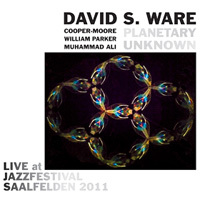 When it breaks down at around the four minute mark, Ware carries on solo, putting out phrases as though he feels threatened by the silence, before the others join back in, taking the piece to a conclusion that's not so much logical as it is the result of having once again exhausted it. "Bardo" is reflective by comparison. On tympani, Smith is anything but thundering and, indeed, by comparison with the percussionist's restraint, Ware's tenor is the sound of a man released. But what, in a lot of hands, would sound incongruous, has a momentum that only comes from music fully and beautifully realized. 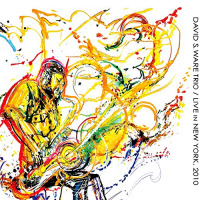 Even after half a century playing the saxophone, for Ware the journey continuesand his cohorts are right there with him. Track Listing: Book Of Krittika; Wheel Of Life; Celestial; Desire Worlds; Astral Earth; Savaka; Bardo; Anagami; Vata. 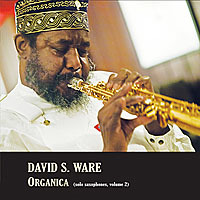 Personnel: David S. Ware: tenor sax, stritch, saxello; William Parker: bass; Warren Smith: drums, tympani, percussion.